Susan N Sweet has been interested in painting and drawing all of her life. In 1986, as a mature student, she enrolled in university and graduated from the Nova Scotia College of Art and Design in 1990, with a BFA in Fine Arts and Minor in Art History. Susan was determined to make her living through her paint brush and took on a variety of diverse projects, including starting the small home based business, Animal Art, creating a line of animal shaped small home decor products and jewellery and specializing in pastel pet portraits. In 2008 she had her first solo show of art since graduation. "Broken Horses, Spotted Cattle" was hosted by the Truro Art Society and the McCarthy Art Gallery, Truro. The show was one of the most successful hosted by the society and helped to re-launch Susan's painting career beyond her commissions and Animal Art. In 2009 she and fellow painter Pamela Swainson had a show at the Fraser Cultural Centre in Tatamagouche "Rural Routes". In 2010 Susan showed at Visual Arts Nova Scotia Corridor Gallery in Halifax "Three Cows and A Horse". In 2012, the show "Roadside Attractions" traveled to the Marigold Centre, Truro and Gallery 1876, Windsor. 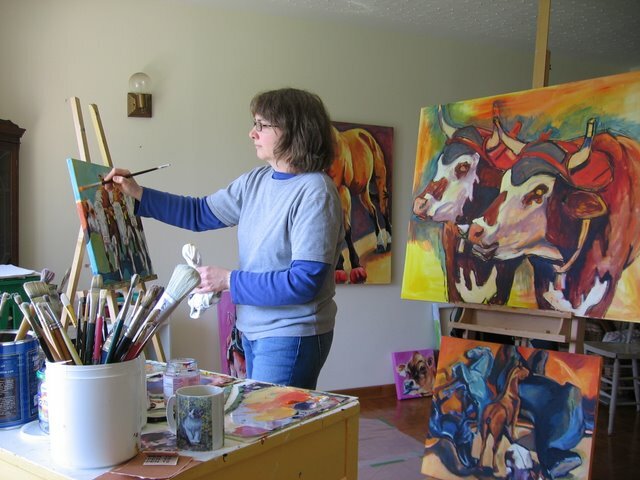 "A Cow, The Bay and Other Paintings" was presented at The Bread Gallery in summer 2014 and brought new appreciation to Susan's vibrant landscapes and renderings of cattle and horses. 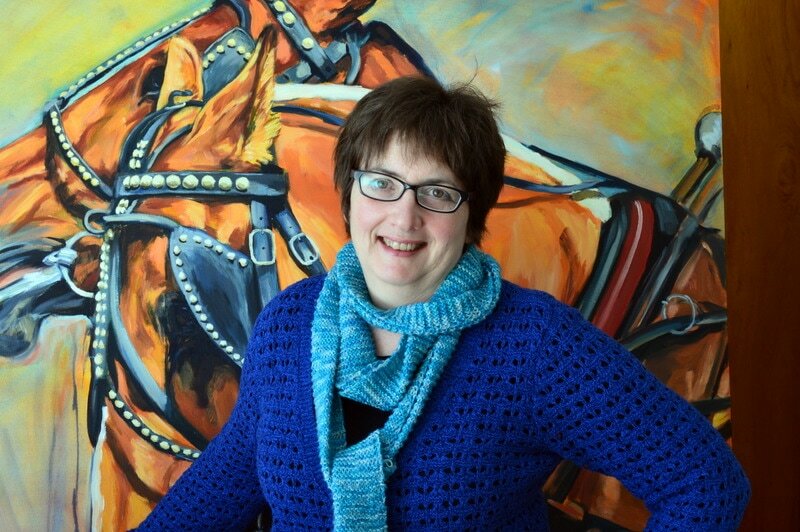 In 2015 she created a painting to commemorate the 250 Anniversary of the Hants County Exhibition in Windsor, NS, and was part of the cultural aspect of that event. Susan has work in the Nova Scotia Art Bank and has been a past member of Visual Arts Nova Scotia. From 2008 to 2015 she worked at Gallery 215 in Selma and helped establish that small rural gallery as a valued community asset. 2016 brought "Countrified", a 2 person show with a neighbouring artist, Judy Arsenault, at the Bread Gallery, work in Gallery 215, Going Coastal and several Open House events at the home based studio. Susan was commissioned by the Nova Scotia Federation of Agriculture to paint the winning farm of the recipient of the Environmental Stewardship Award. In 2017, Susan had a solo show at The Bread Gallery, "Road Trips and Cowscapes", was part of a group show "Out of the Blue" in Truro, was artist in residence at the Hants County Exhibition, participated in "Paint the Hydrostone" and is a featured artist at Novel Tea Cafe, Truro in November. In October she made a presentation to the Grade 3 classes at Brooklyn Elementary School about cow painting. Susan also was a casual instructor at NSCC Truro, teaching Life Drawing III for a semester to students in Digital Animation. 2018's 'Back Roads' was Susan's annual summer show at The Bread Gallery and ran for 2 months. Susan is represented by Made In the Maritimes Artisan Boutique, Halifax and Bedford, Drift in Lunenburg and through direct sales. Please contact Susan for information on paintings available here.